A MIT researcher has made the bold claim that half of all children will be autistic by 2025 due to the toxicity from the glyphosate herbidice. Seneff, a senior research scientist at the MIT Computer Science and Artificial Intelligence Laboratory, noted how glyphosate is in many products due to the increasing prevelance of GMO corn and soy additives. “All of the 70 or so people in attendance were squirming, likely because they now had serious misgivings about serving their kids, or themselves, anything with corn or soy, which are nearly all genetically modified and thus tainted with Roundup and its glyphosate,” a fellow panelist observed. However, Seneff’s claims have been receiving hard criticism. “There is an ideological subculture that is motivated to blame all the perceived ills of the world on environmental factors and corporate/government malfeasance. Often this serves a deeper ideological drive, which can be anti-vaccine, extreme environmentalism, or anti-GMO. The latest environmental bogeyman making the rounds is glyphosate, which is being blamed for (you guessed it) autism. Glyphosate is the active ingredient in the herbicide Roundup,” wrote Dr. Steven Novella on his blog. A slide from one of Dr. Seneff’s presentations. “Even disregarding the sloppy mathematics, the claim’s very basis (that glyphosate is the cause of a perceived increase in autism) is unsupported. No mention was made of how glyphosate was isolated and shown to be a cause (or even a factor) in some or any cases of autism,” it added. 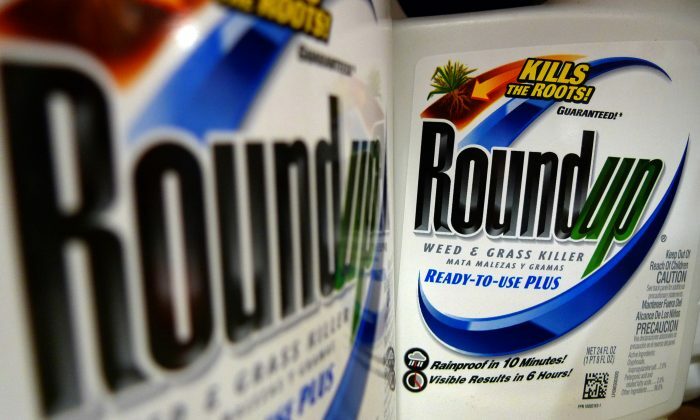 That work includes showing the increase in glyphosate used in the West, as well as the increase in potentially linked results, such as the increase of children with inflammatory bowel disease and increased kidney failure in agricultural workers. 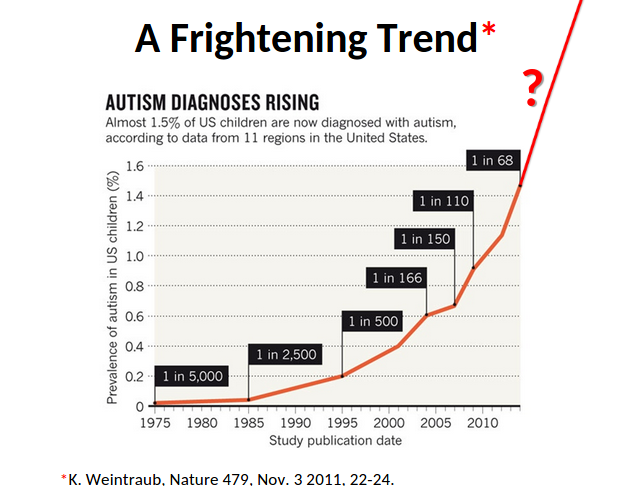 “She has meticulously collected statistics on glyphosate usage and various diseases and conditions, including autism. 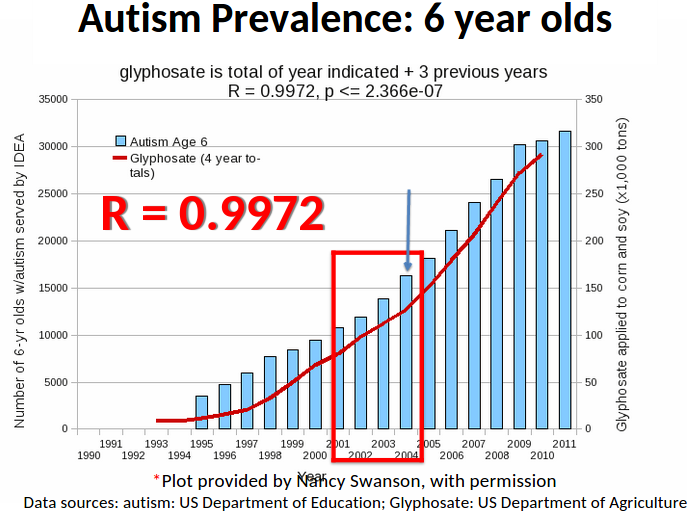 A more perfect match-up between the rise in glyphosate usage and incidence of autism is hard to imagine,” he added.